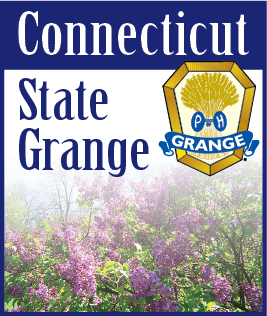 Capping off its 143rd annual convention, the National Grange recognized four out of its nearly 2,700 local Granges for outstanding community service efforts. The recognition came during the November 17 to 21 session held at the Amway Grand Plaza Hotel in Grand Rapids, MI. First place went to Edneyville Grange of Edneyville, NC. The Edneyville Grange's 87 members combined to contribute an estimated 5,716 hours toward their community service projects in 2009. Their main project was the establishment of a community center for their area. Grange members have worked for the past five years to make a community center a reality. They proudly held the center's ribbon cutting on September 3, 2009. The center will also serve as a meeting place for the Edneyville Grange. Grange members are now working to raise $3 million to add a pool, a park and a gym to the community center. Other Edneyville Grange projects included sponsorship of the local Boy Scout and Girl Scout troops, roadside cleanups working with the scouts, a Thanksgiving service for the community, sponsoring kids to go to Grange Camp, sponsoring a family at Christmas and holding a musical program for the community at Puncheon Creek. Perry Valley Grange of Perry County, PA took second place with a variety of community service projects. The 100 members of Perry Valley Grange contributed 3,239 hours to projects in their community during 2009. The year's main project was a cancer patient benefit dinner for a young woman suffering from a severe form of cancer. Grange members sold 350 tickets, donated all of the food and raffle prizes and, as a result, gave the young woman a check for $11,842.83. Other Perryville Valley Grange 2009 community service projects included co-sponsoring blood drives, Christmas sponsorship in Millerstown, PA, Valentine distribution to shut-ins, volunteering at the local recycle center and livestock purchases at the County Fair. To take third place, the 98 members of the Flora Grange in Belvidere, IL contributed 6,274 hours to local community service projects during 2009. Flora's main efforts concentrated on the Boone County Fair. Members helped with the remodeling of the fairground bathroom, expanding of the handicapped viewing area and painting and repairing park benches throughout the fairgrounds. Other Flora Grange 2009 projects included contributing dictionaries to local schools as part of the national Words for Thirds project, work on the local food pantry, involvement in Habitat for Humanity projects, bell ringing for the Salvation Army, Christmas toys for children and Christmas trays for the elderly, farm tours and contributions to other local causes. The 89 Home Grange members of Ceresco, MI contributed 4,828 hours in 2009 to a variety of community service projects to take 4 th place in the competition. Home Grange community service projects in 2009 included support for the 4 th of July Parade and the community's Old Fashioned Christmas Program. Home Grange members made and donated quilts, baby hats and stuffed toys to the Oaklawn Hospital and 60 home made stuffed bunnies to the Marshall Manor Nursing and Rehabilitation Center. Members also repaired flags at the Fort Custer National Cemetery outside Battle Creek. The Home Grange worked closely with local 4H clubs, giving them free use of the Grange Hall for their meetings. In addition to prestigious recognition, the four Granges received cash prizes for their accomplishments.